May 12, 2014 By Allyson 34 Comments This post may contain affiliate links. Read my disclosure policy. We are HUGE dippers at my house. My husband often ‘jokes’ that whatever we are eating is just a vehicle for the sauce…because it’s all about the sauce! 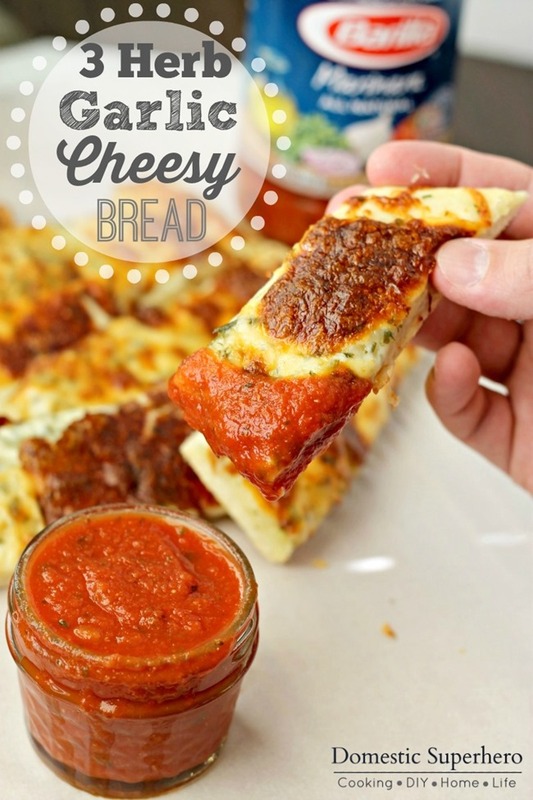 Over the weekend I decided to cook up some delicious cheesy bread to take to a Mother’s Day BBQ, and I knew that Barilla® Sauce would be the perfect dipping sauce. Of course, I was right! I used some dough I whipped up the night before and then added fresh herbs from my garden and mounds of delicious mozzarella cheese. Can’t go wrong with that! 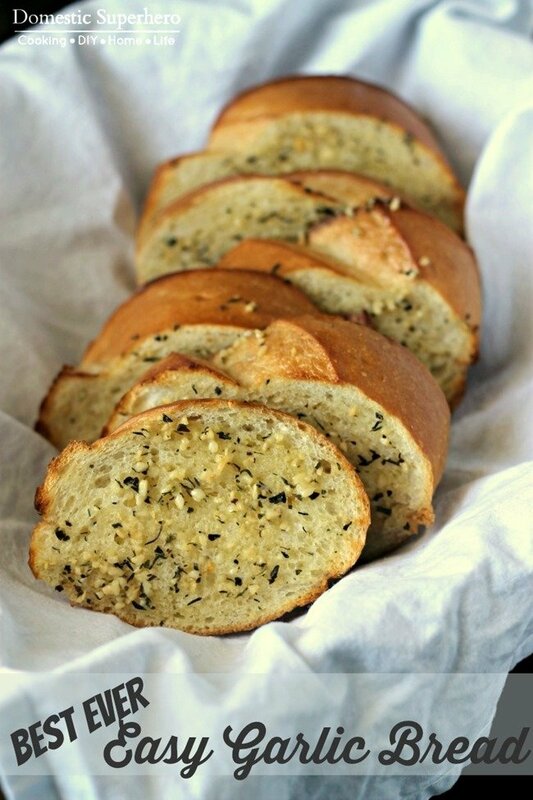 Using the fresh herbs definitely brings something extra to the regular cheesy bread taste. It spices it up (herbs are spices, right?! ), but not in a hot spicy way. The fresh taste of the 3 Herb Garlic Cheesy Bread pairs perfectly with the Barilla® Marinara Sauce because it’s made from all natural, quality ingredients like vine-ripe tomatoes, extra virgin olive oil and fragrant herbs. I served both the standard marinara and the Basil & Tomato flavor on the side and they were both a hit! Yum! 1. Roll your dough out to a round/oval shape (or whatever shape you want!). Dust a cookie sheet lightly with flour and place dough on top in desired shape. 2. 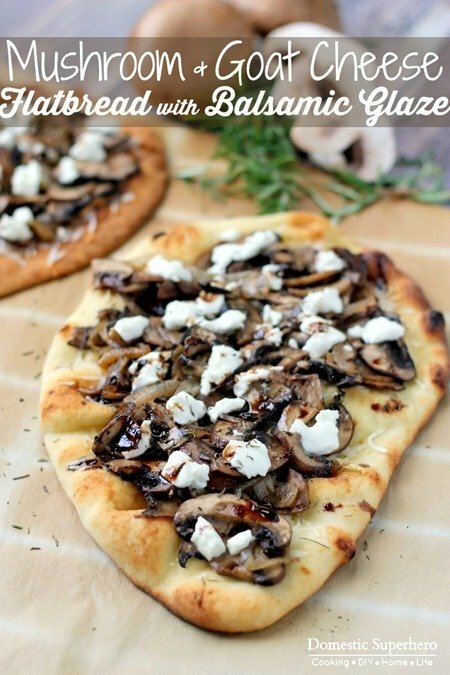 Drizzle oil over the dough and use your hands to spread around the dough, covering completely. Add garlic, rosemary, parsley, and chives on top, and spread around evenly (I also used my hands for this). 3. 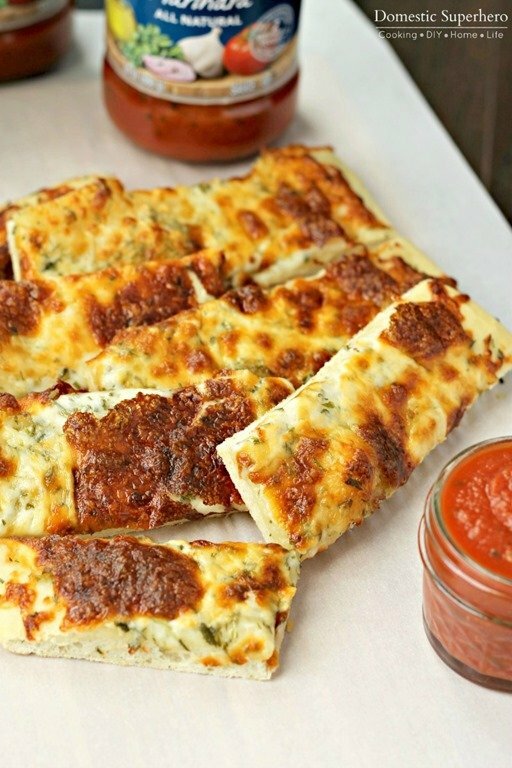 Sprinkle cheese in a thick layer over the top of herbs/dough and spread evenly. 4. Place into preheated oven and cook for 15-25 minutes, or until dough is cooked through and cheese is melted and bubbly/browned in places. 5. Place Barilla Marinara Sauce in a microwave safe bowl and cook for 30-60 seconds, or until warm (stir halfway through). After 15 minutes in the oven I would check the bread frequently. It definitely depends on oven temp and my bread is usually done right around 20 minutes. You could use dried herbs in this recipe as well, but I highly recommend using fresh for the best flavor. That sounds so awesome, Gail! I am sure they are really appreciating you and all you do! That bread looks delicious. I don’t know if I’ve ever tried Barilla! Really?!?! It’s the best selling brand of sauce! Something like that would be devoured in seconds in my house. It sounds awesome! Allyson – how funny!!! I just stopped by to check out your blog after replying to your comment and had no idea the name of your blog! (and i said “domestic goddess” in my reply) That made me laugh! I love Barilla – fantastic looking pizza bread!!! Oh your recipe looks wonderful! We prefer Barilla in our home, it definitely does not taste like jar sauce. I couldn’t agree more and their new sauces are SO good! YUM! Barilla is family favorite in my home. If I am running short on time its my go to product that never sits for long in my pantry. I know what we are having for dinner with a salad 🙂 So glad I found your blog I will definitely be following along. My family loves barilla. Their sauces and their noodles are both great. Love Barilla. I also give to our Community Action Center who helps area residents by giving them food and medical help. We do alot for our community – the kids, husband and I have collected food for the pantry, made blankets, sang at a nursing home, and I could just go on. Good for Barilla! Yummy! That bread looks so yummy! We help out with our church’s efforts, especially during the holidays and school related projects in the community! Yum, those breadsticks look really tasty and I would love to make them!! Barilla is my go-to brand for pasta but I’ve honestly never had their sauce. I’m definitely going to keep an eye out for it next time I’m shopping! I love Barilla. I want to make some of the bread right now. Every bit of this sounds absolutely fantastic! I just sent my son a jar of Barilla in a care package! 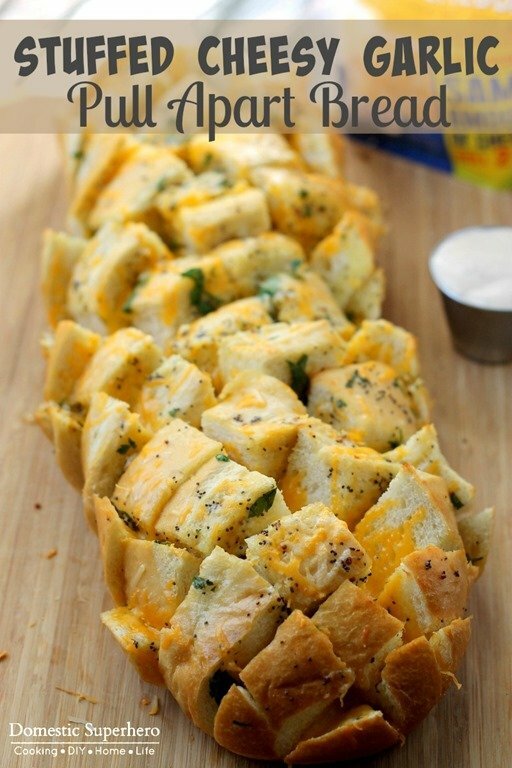 I love cheesy garlic bread and that looks amazing! Will have to try it! 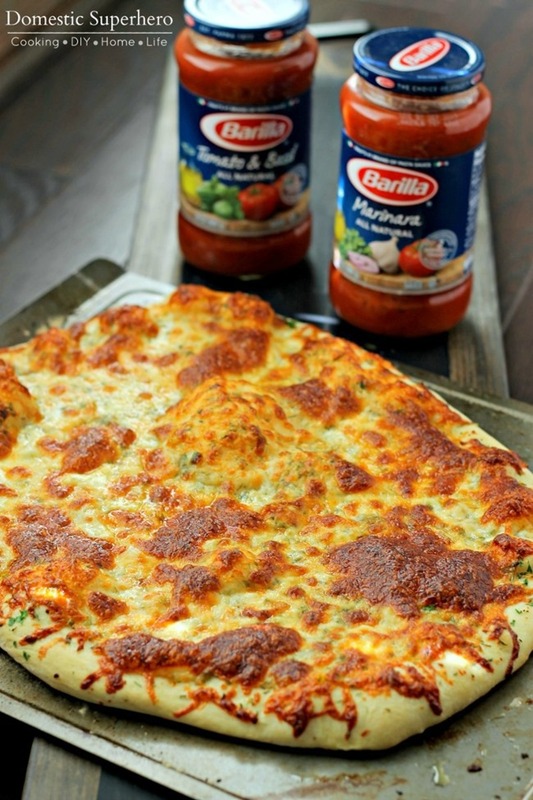 thanks for the recipe looks so yummy and barilla is amazing! That bread is making me hungry. Barilla marinara is my husbands go to sauce when he is making pasta. He adds other stuff…meats, veggies, etc…but that sauce is what he likes to use as the base. So good…. I tutor local ESL students. I love Barilla marinara and use it often. How I give back to my community is: I donate clothing to a local charity every month; help out at a church in the next town over, 2-days a month; & lastly, I volunteer @ The American legion/ VFW in my town 2-days a week. I love being able to help people when I can and the veterans deserve help when they can get it. I donate a lot of food to the local food bank. Sometimes if there is a Buy 1 Get 1 Free sale, I donate the “free” item to the food bank. I clip coupons and match them with sales to get really good deals on food to donate.